Ensuring the health and security of a global workforce is complex. That’s why we have put together a white paper to help you navigate the elements of a ‘Best Practice’ Travel Risk Management programme. 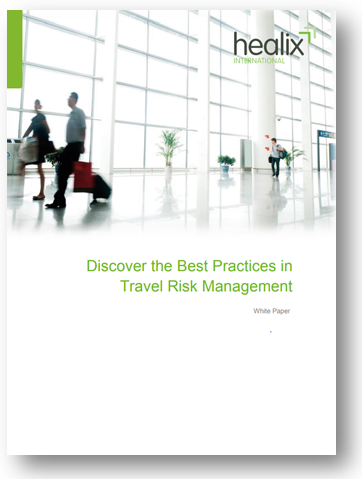 To help you navigate the maze of Travel Risk Management options available, we have put together a white paper on key ‘Best Practices’ that, depending on the size and scope of your organisation, should be implemented to provide you and your employees with a robust support system to attend to the myriad of issues facing today’s business traveller.